YWCA Greenwich has a beautiful facility (centrally located on 6.5 acres in the heart of Greenwich, CT) with a heated pool, a state-of-the-art fitness center, locker rooms, a steam room, a sauna, an outdoor playground, and a new STEAM Lab for preschool and after-school programs. The YWCA Greenwich location is also home to our town's only pitching machine and softball batting cage system. In addition to their outdoor sports fields, they also have new state-of-the-art indoor facilities. These attractive and thoughtfully-designed indoor spaces are what allow YWCA Greenwich to host their all ages fitness classes, as well as their youth sports and fitness programs, all year long. 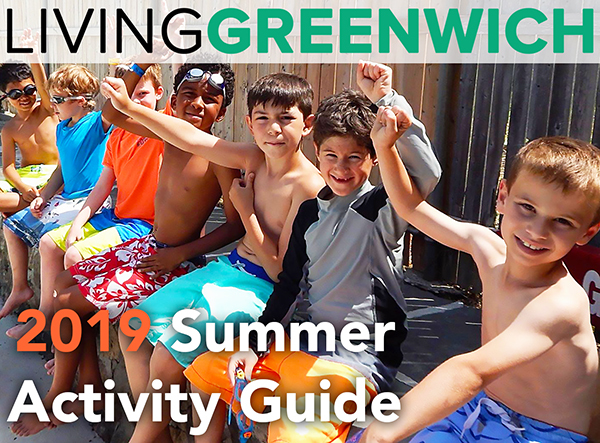 If you are looking for ways to keep your child (or yourself) active and engaged throughout the cold weather months - one of the best places to start your search is in the YWCA Greenwich 2019 Winter/Spring Catalogue - or they can be contacted at 203-869-6501 (or via email at info@ywcagreenwich.org). Exciting News: YWCA Greenwich has taken over the Greenwich Junior Babe Ruth Baseball League! 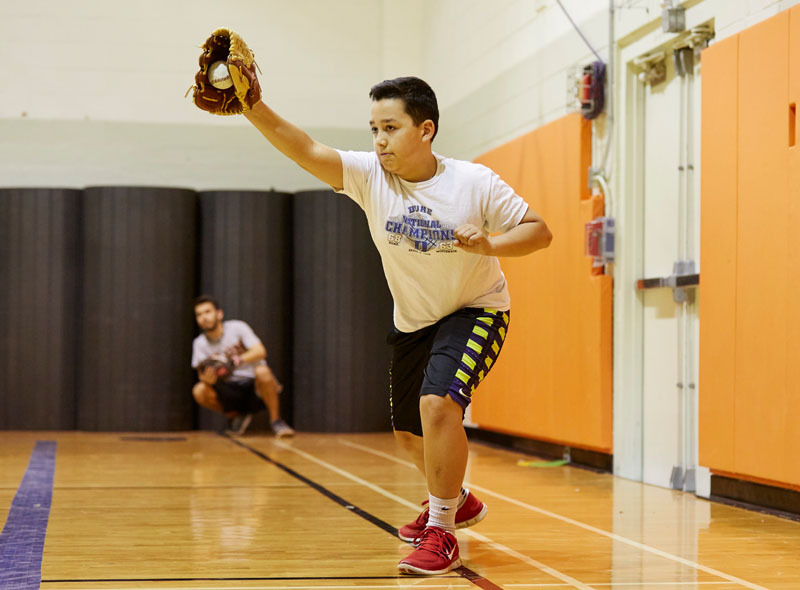 Kyle Wirtz, YWCA Greenwich Director of Health and Fitness, has taken over all aspects of the GJBR Baseball League, giving players access to the YWCA's great coaching staff. They have everything your child needs to win: a great teaching staff led by Chief Instructor Mike Parisi (a former St. Louis Cardinals’ pitcher) and Garrett Withiam, the YWCA’s new Assistant Director of Health and Fitness; an indoor/outdoor pitching machine and batting cage system; a pitching mound; bats, balls and helmets; and an available strength and conditioning center. YWCA Greenwich also proudly partners with White Plains Hospital & Wellness in Armonk to keep all of their children safe on the field. YWCA Greenwich now offers indoor golf during the winter months to help students (Girls & Boys Ages 5 - 12) get ready to hit the course by spring. In the YWCA Junior Golf program, students are led through station-based drills and games that develop the fundamental skills of grip, putting, chipping, and full-swing. Students also participate in STEAM labs that allow them to explore academic concepts like gravity, force, and spin through the game. The end result: your child will learn to improve both their fundamental skills as well as their understanding of academic concepts through a program that lets them progress at their own pace. Lead instructor, Tom Blumenthal, learned to love the game as a child and has spent his career in the business of golf. 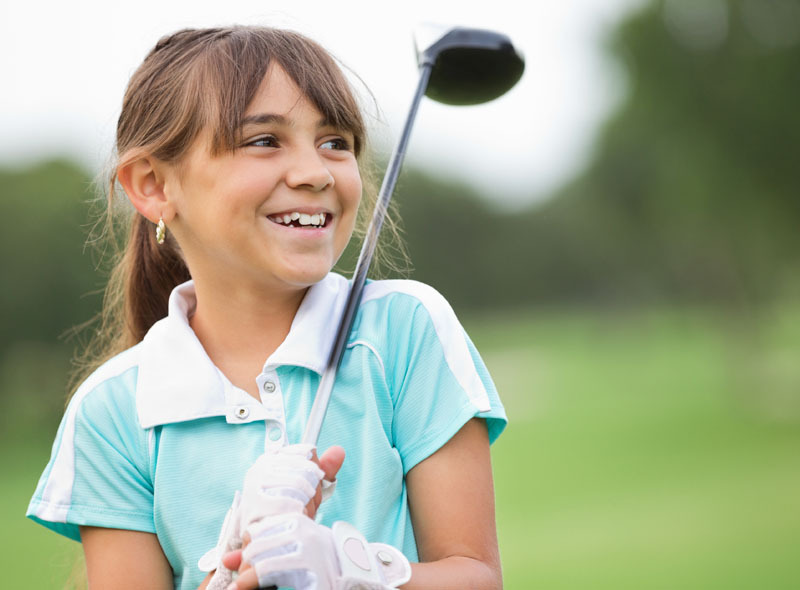 No matter what level, this specialized golf instruction will help your child improve their game. 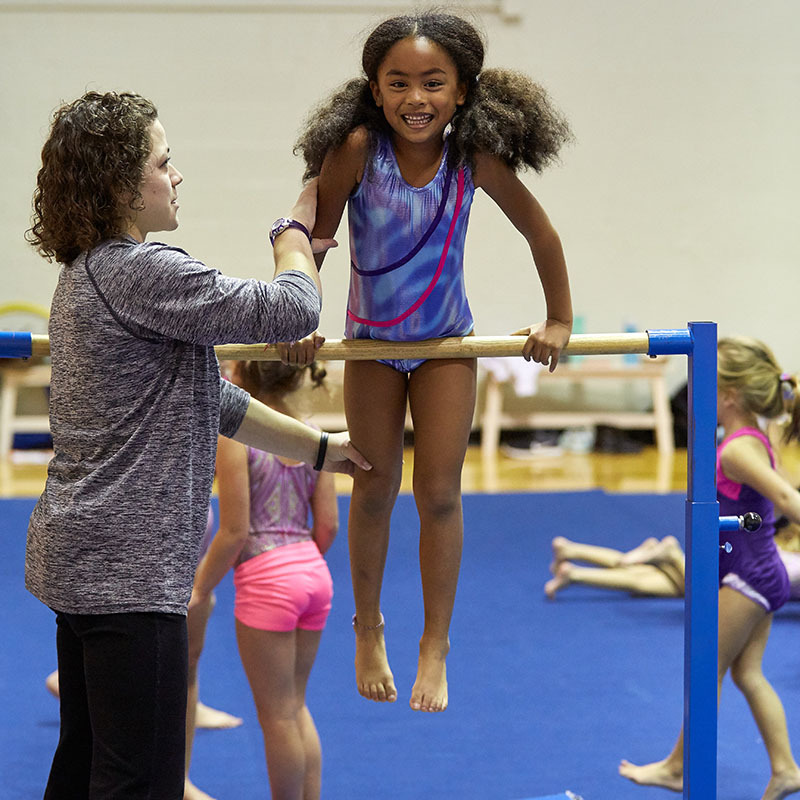 The gymnastics program at YWCA Greenwich offers everything from basic balance and tumbling classes for infants and toddlers, as well as Gymnastics level classes I-V for more advanced middle school-aged participants. Sign up your child to enhance their fine motor skills, AND improve their discipline, flexibility, and strength. Sue Knight, Varsity Head Coach of the Greenwich High School Gymnastics Team (which claimed the Connecticut Interscholastic Athletic Conference in 2016), has headed the gymnastics program at the YWCA for 25 years. Knight is certified in safety, CPR and First Aid - PLUS she is an expert in teaching children of all levels and ages from the fundamentals to advanced gymnastic skills. For program information and registration, contact Kyle Wirtz at 203-869-6501, ext. 131 or email to k.wirtz@ywcagreenwich.org. YWCA Greenwich is raising the bar on its tennis program with the USPTA certified instructor duo of Betsy and Hugh Underhill. 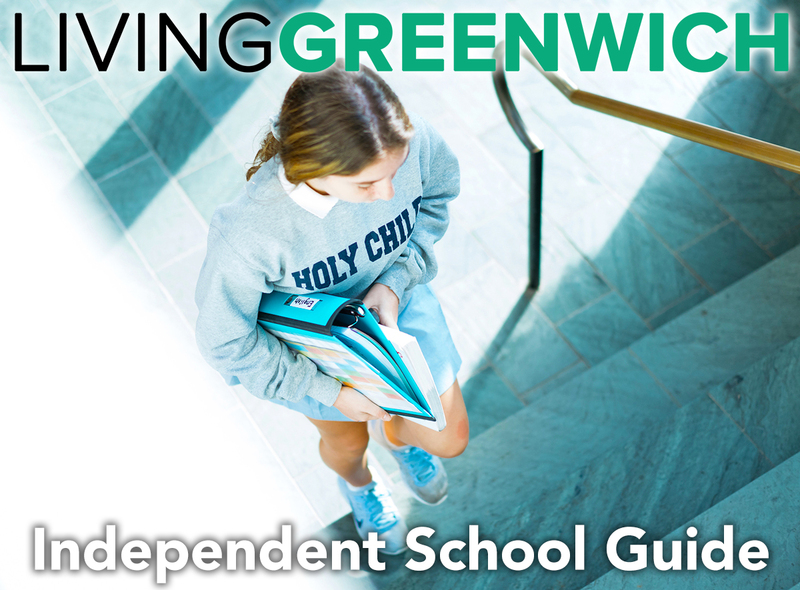 Betsy Underhill has been the girls varsity tennis coach at Greenwich High School for more than 20 years. She has coached her teams to 6 State titles and 6 County titles and four doubles teams have won the State Open tournaments. A USPTA certified instructor, Betsy committed to the game and is a skilled instructor who has taught hundreds of students to play their best tennis. Hugh Underhill coaches varsity tennis and squash at Darien High School. An avid tennis coach and player for more than 30 years, Hugh has managed the tennis, squash and paddle tennis programs for the Roundhill and Greenwich country clubs. In the summers, Hugh is the Club Manager and Tennis Director at the Block Island Club. He is passionate about tennis and passing along his love of the sport to all of his students. 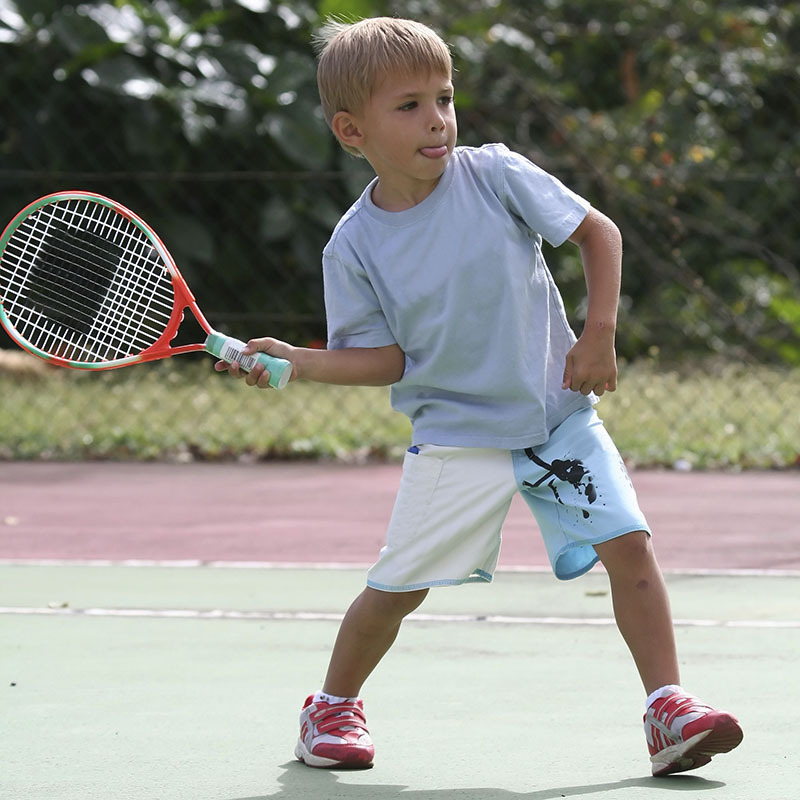 These talented tennis instructors will be teaching classes that: develop sound tennis fundamentals; use age-appropriate-sized racquets and balls; create a positive atmosphere that encourages self-confidence; build an enthusiastic attitude; and encourage good sportsmanship. As part of their Creative Movement programs, YWCA Greenwich is now offering Broadway Song & Dance Theatre classes (for ages 7 to 15) taught by choreographer, Michelle Marceau, the Director and Founder of The Greenwich Performing Arts Studio. Marceau received a BFA from Boston Conservatory in Dance and Drama and has performed throughout Europe and the U.S. Her choreographic work has been seen in commercials, on television and in industrials. 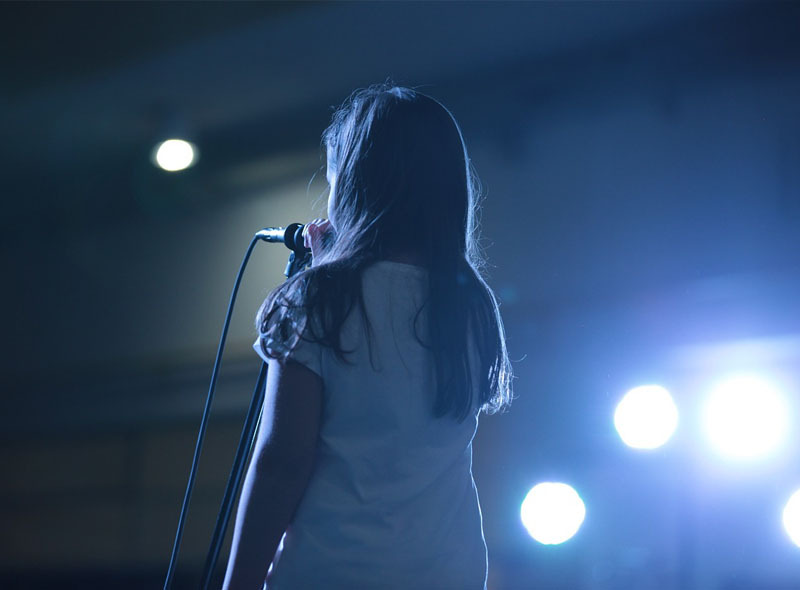 Watch as your child learns professional songs and Broadway choreography -- all right down the road at the convenient and centrally-located YWCA Greenwich facility. Note: Some dance experienced required. YWCA Greenwich offers ballet classes (for ages 3-12+ years old), led by ABT® (American Ballet Theater) certified instructor, Kendall Moran. Kendall Moran has taught at the YWCA since 2000. She attended Lamar University on a dance scholarship, then studied and trained with teachers and choreographers from the London Royal Ballet and Steps Studio to Broadway Dance Center in New York City. Kendall is an ABT® Certified Teacher, and successfully completed the ABT® Teacher Training Intensive in Primary through Level 3 of the ABT® National Training Curriculum. This program is designed to let your child progress as they build and refine their skills with courses from pre-ballet, beginning ballet, as well as intermediate ballet, barre and pointe. 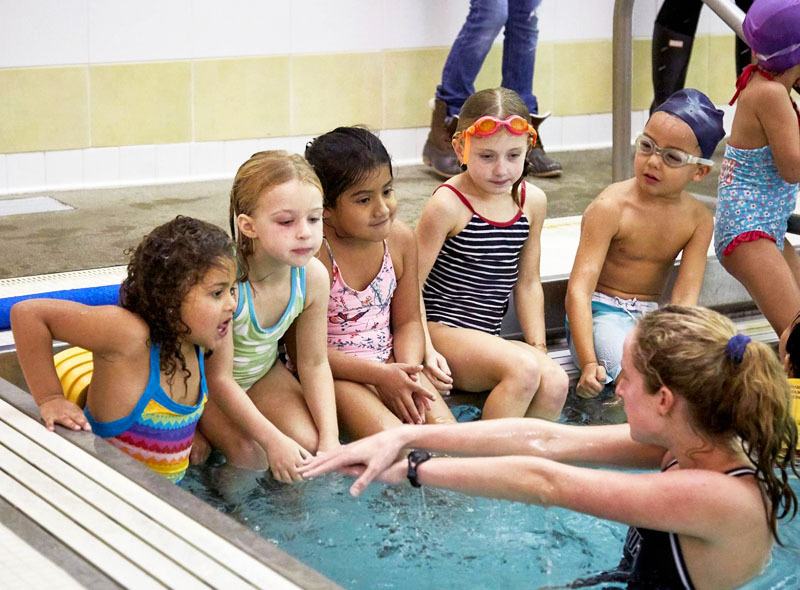 Whether your child enjoys time in the water, or is just learning how to swim, the aquatics program at YWCA Greenwich has a fitness class to fit every skill level, with youth swim lessons for children as young as six months to adult swim lessons. Children are almost never too young to begin a lifelong love of the water. Aquatics (swimming and other water activities) benefits youngsters through teens for so many reasons. Here are just a few: water safety skills; improved swimming strokes; increased muscle mass; improved self-esteem; improved flexibility and strength; increased endurance and stamina; an improved physique; increased patience; a surplus of FUN! No matter what your ability level is, the aquatics program at YWCA Greenwich offers a class that is right for you. For your youngest swimmers, there's DolphinBabies, a great intro to the water (for ages 6 months to 3 years) and DolphinTots which teaches swimming basics to 3-5-year-olds. 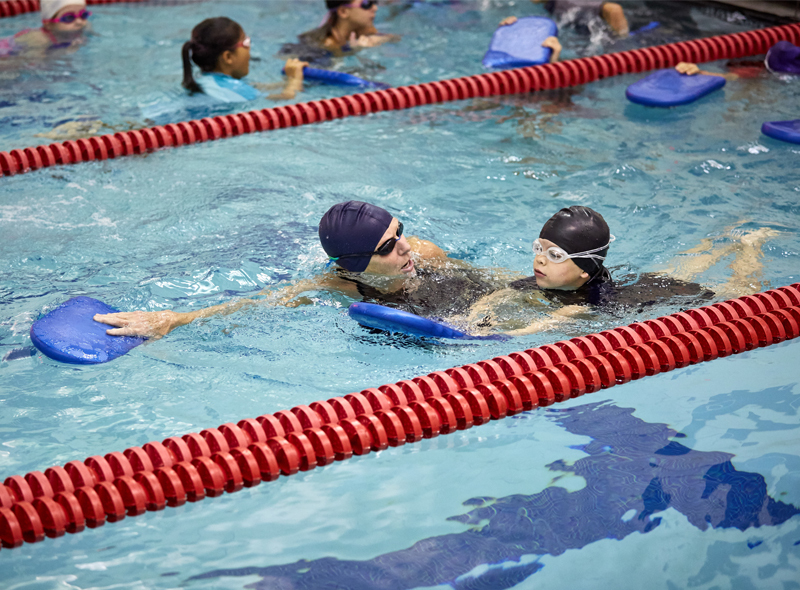 The YWCA Greenwich DolphinsPrep aquatics program (for ages 5 through 12 -- with classes for 13-18 year-olds, as well) further builds skills and agility. More advanced swimmers can choose from Scuba (including PADI Certification, for 10 year-olds and up), and American Red Cross Lifeguard Training. For swimming stars (ages 5 to 12) the YW's own Dolphins Swim Team offers a competitive, age-group program that holds memberships in Connecticut Swimming, Connecticut Y Swim League, and United States Swimming Inc. Additionally - the Greenwich YWCA Dolphins Swim team was awarded Silver Club status by USA Swimming, putting it in the top 4% of clubs in the country! Now in its 47th year, the team provides the community with a program that teaches members teamwork while building physical and emotional strength as well as speed and endurance. For more information on Aquatics programs, contact Bruce Semer via email (at b.semer@ywcagreenwich.org) or via phone at (203) 869-6501, ext. 121. Please note: YWCA Membership is required for all programs. Visit the Membership Section of their official website (ywcagreenwich.org/membership) for information on membership categories.